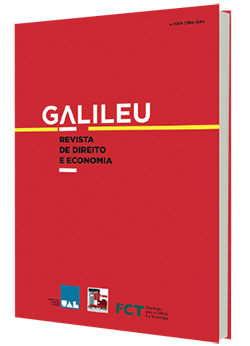 Galileu, a Law and Economics journal, is an annual free open access journal published by Universidade Autónoma de Lisboa. It publishes original articles and presentations in the scientific areas of Law and Economics, in its various fields of expertise. It is aimed particularly at researchers, lecturers and students, but also at readers in general who are interested in this science. The journal accepts articles in Portuguese, Spanish, French and English. Unidade de Investigação financiada pela FCT_UID/DIR/04441/2019.